Move In/Out Inspection Cleaning. Spring, Open Home Cleaning .Carpet Cleaning, Home and Office Cleaning, Regular(Da­ily,Weekly and Fortnightl­y). The Palms Cleaning Services has been providing Home and Office Cleaning solutions since 2002. We carry our own modern cleaning equipments and products in order to deliver high-quality, reliable service. We respect our customers' property and hygiene is our utmost priority. We only use Eco-friendly, certified and domestic chemicals only. Regular Cleaning for Home and Office. We wash, sanitise and dry all cloths and mops at our own house(s) everyday. We do not wash/clean the cloths and mops at customers' houses. - Kitchen (red/pink color cloth). No problem in recommending Paul and his team. Always do a good job and are pleasant to deal with. Paul & Erin: My pleasure Terry. I sought reassurance they would service my small flat. I found language difficult, understanding limited, they then withdrew... maybe my fault, I suggest caution with these people. Paul & Erin: My pleasure. Thanks Eric. Palms cleaning did a fantastic job on our move out clean. Highly recommended! Paul & Erin: Thank you so much Sue. Very upset this this company. Called asking for quotation but never called me back called again finally got answer asking 4 times and advised price is not suitable for you also because you are korean i cant deal with you. Well i didnt ask for discount. Couple of days later they called me and try to argue with me and said i offered you cheap cleaning company and remind me WE DONT DEAL WITH KOREAN yes i understand as you mentioned it 3 times from first call. Paul and Erin have been doing a great job cleaning our house over the last few months. Everything is sparkling when they are done and we have been very happy with the wonderful service. We highly recommend The Palms. Paul: Thank you so much Kathleen. I am very happy with the services provided by Palms Cleaners – quick, reliable and high quality. Also very competitive quote. I found very easy to deal with Palms Cleaners – whole process of engaging them, getting quotation and initiating their service, was no fuss or delays involved. There is nothing more valuable for busy, full-time working people. I would have no hesitation to recommend Palms Cleaners to my friends! Palms have been cleaning our home once a week for almost two years. Fantastic work, very reliable, very efficient and very friendly. Everything is always left spotless and sparkling. Thank you! Erin and Paul: Thank you Wayne. We have been using palms cleaning services for over a year now. Very Happy with their service and quality. Highly recommend them . Erin and Paul: Thanks Tasneem. Palms come to our home weekly and have provided an exceptional service. They are very respectful that it's our home and are incredibly efficient! The house is nothing short of immaculate when they're done! I wouldn't hesitate to recommend their cleaning services for a one off or regular service. They offer a high standard service and are happy and very easy to deal with! Erin and Paul: Thanks Belinda. Sarah and John come once a week to help me and are absolutely amazing. I have had help from two cleaning companies in Wellington and one other in Auckland and these guys are hands down the best. Have recommended to my mum and friends who love them as well. Thanks so much!! Erin and Paul: Thank you so much. I can highly recommend Erin and Paul. They are very professional, reliable and trustworthy. My apartment always looks great when they've been. Erin and Paul: Thank you so much Stephanie. Erin and Paul: Thanks Tasneem. Have a nice weekend. We've had Sarah and John at our place for over a year now...friendly couple and respectful. They're professional and do a brilliant job. Can't ask for more. Erin and Paul: Thanks Jason. Have a nice weekend. 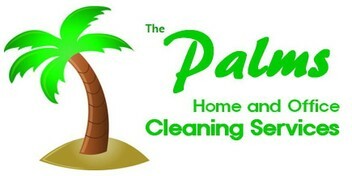 We've been using Palms Cleaning for over a year now for a weekly clean of our home. It's such a relief to come home and know that the house will be sparkling. I highly recommend their service. Erin and Paul: Thank you so much Kirsti and Ryan.